Last week’s big news was that Meyer Werft is to build two new next-generation cruise ships for Costa Cruises, which will be the world’s first, and most certainly the largest, to run on LNG. While these will be built at its Turku shipyard, two similar ships will be built at Papenburg for sister company Aida Cruises. By burning LNG, large passenger ships are able to reduce their CO2 emissions by 25%, Nitrogen Oxides by 85 to 90% and Sulphur Oxides to practically nothing. LNG is a clean fuel, producing very low particle emissions, no visible smoke and no sludge. And as a bonus it is cheaper than marine diesel oil. There are problems however. LNG’s volume is 1.8 times that of diesel fuel, and with the necessity of using highly-insulated cylindrical tanks, the space required for bunker storage is almost four times what is required for conventional square tanks. Costa Celebration Headed For The Bahamas – Sterling Cruise Lines From Aruba – Just Two European Cruise Ship Builders? 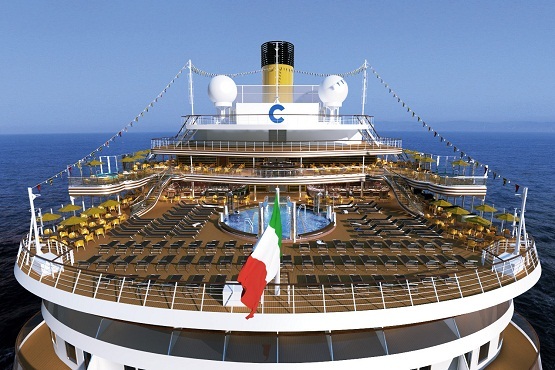 The Cruise Examiner for 15th December 2014... ..
Three weeks ago Costa Cruises abruptly withdrew the Costa Celebration from the Costa fleet before she had even been introduced. According to some sources, an immediate sale was in the offing. Now, it seems clearer that the intention was to send her to the Bahamas as a substitute for Celebration Cruise Lines’ damaged Bahamas Celebration on the Palm Beach-Freeport route, again as Grand Celebration. Meanwhile, Clipper’s Gemini will soon leave her accommodation ship role in the Shetlands to go back into full time cruising for the first time since 2011, with start-up company Sterling Cruise Lines. Both the Grand Celebration and the Gemini are managed by Fleetpro of Miami. 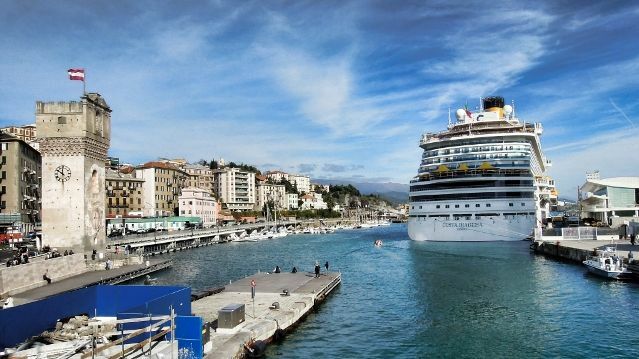 Finally, do rumours that Fincantieri would like to acquire STX France mean that there will be only two European cruise ship builders by next year instead of the four we had in the past? The Cruise Examiner for 8th December 2014... .. This week comes much news, with an order for another mid-size ship by Seabourn and pending orders for three more by Silversea, while the first of Viking’s new class enters service in just six months now. Elsewhere, Celebrity Cruises is introducing a new class of ship, just slightly smaller than the Solstice class (above), while Virgin Cruises has announced a chief executive for its planned two-ship Florida-based operation. 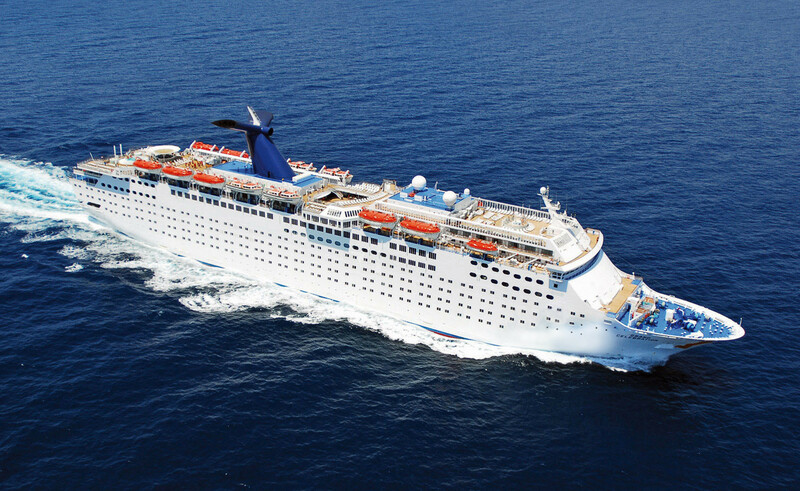 The Cruise Examiner for 23rd June 2014..
Costa joins NCL and Carnival in the Great Outdoors, MSC to follow. Two interesting new books have just arrived on our desk, in Steven B Stern’s “European Riverboats and Hotel Barges” and Douglas Ward’s “Berlitz Guide to River Cruising in Europe”, both hot off the presses. This week, we compare the two books for our readers. Elsewhere, MSC Cruises is offering special fares on a November cruise from Venice to Dubai in the MSC Orchestra, which also incidentally offers a way to get to Australia. Meanwhile, Costa reveals that it too is getting into outdoor promenades, with some details of its new flagship Costa Diadema. Quantum of the Seas To Go To China – Holland America Expands UK Program (Again) – Who Needs A North Star Capsule When You’ve Got This? 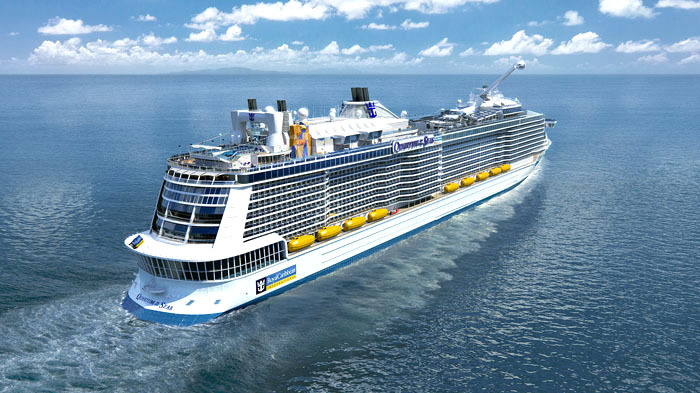 The Cruise Examiner for 21st April 2014..
Last week, Royal Caribbean International shocked the industry by announcing that from June 2015, its newest ship, the 167,000-ton Quantum of the Seas (above), will be based year-round in Shanghai. We take a look at the repercussions for Royal Caribbean and what the other Asia players, Costa, Princess and Star, are up to as well. Meanwhile, Holland America has been quietly growing its UK round-trip cruise market to the extent that in 2015 it will be offering thirteen round-trip UK cruises with a dedicated ship, the Ryndam, and boat trains that come right alongside at Harwich. And finally, we have an interesting look at some overhead views. Two cruise ships re-entered service after extensive refits last Friday, with Swan Hellenic reintroducing its Minerva with a new forward lounge, a new promenade deck and more balconies, and Costa Cruises’ renaming its Costa Romantica as Costa neoRomantica, with two extra half-decks, 111 new cabins and 120 new balconies, as well as a complete interior redesign. This week, we also look at the South Africa route, where this year’s first northbound sailing has already left Cape Town, and next year MSC Cruises will send MSC Opera and MSC Sinfonia south. Elsewhere, Royal Caribbean’s Rhapsody of the Seas has entered Sembawang Shipyard in Singapore for a month-long mid-life refit, before heading for Alaska this summer.